The RCX system is an engineered room combining system for facilities with multiple adjacent meeting rooms. The system offers unmatched flexibility, simplicity of installation and proven long-term reliability. 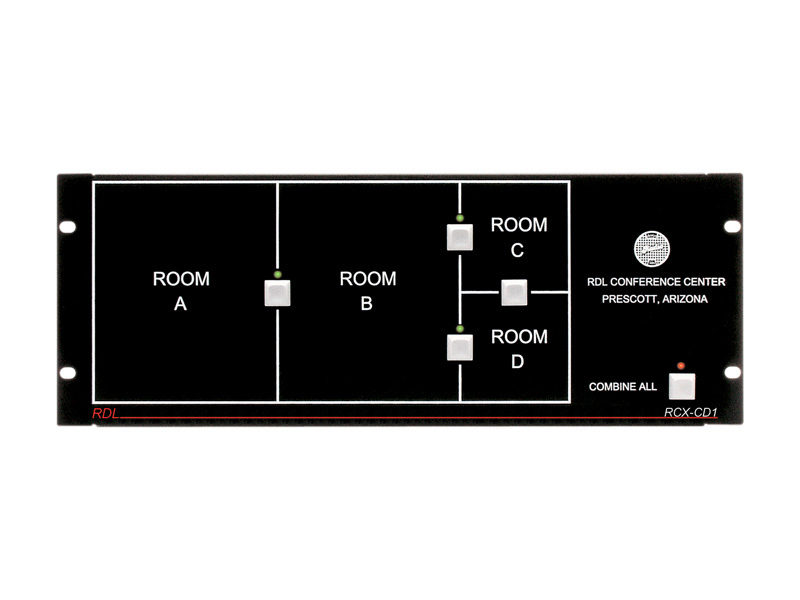 RCX products are designed and manufactured in the U.S.A.
Each system requires a single rack-mounted RCX Controller plus an RCX Room Control for source selection and volume adjustment in each room. 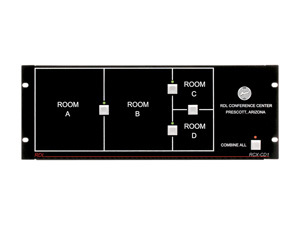 A maximum of two RCX Room Controls may be installed in each room. The system Controller configures the sources and amplifiers for each room, and it may be remote controlled using one or more customized RCX-CD1 Control/Display Panels. RCX compatible microphone and line input connections, source selection and volume control in each room are available in wall mounted Decora® style plates. Volume control is possible at multiple control points using pushbutton or rotary encoder type controls. The system features a wide variety of programming functions including preset levels, muting and a range of remote control options.